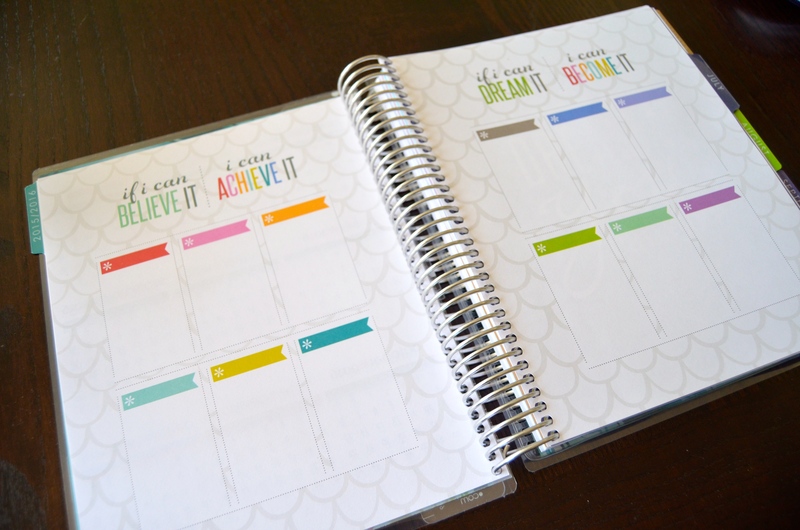 I recently received my newly redesigned 2015/2016 Erin Condren LifePlanner! I was so excited to explore the contents with all my readers. Check out my LifePlanner unboxing to see which options I selected for my personal planner along with the goodies it came with. 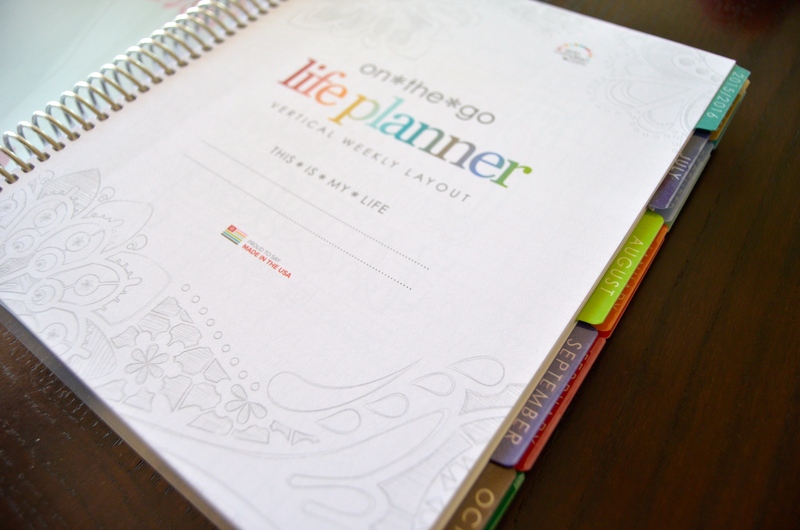 Sign up to receive your 2015/2016 Erin Condren Life Planner today with this $10 off coupon! 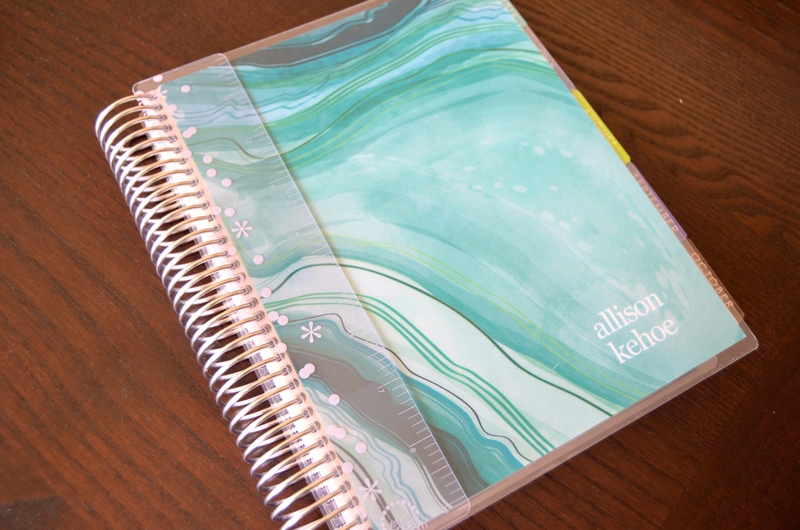 You can spend this $10 however you’d like on ErinCondren.com! 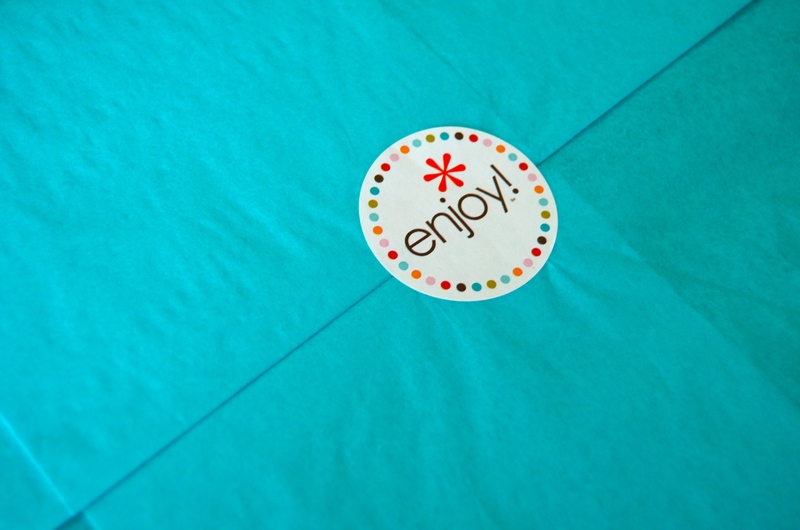 The box arrived very promptly at my doorstep – I hardly needed the expedited shipping! The box came much quicker than the estimated ship time on erincondren.com upon ordering. The order arrived in a fun box design with no damage. 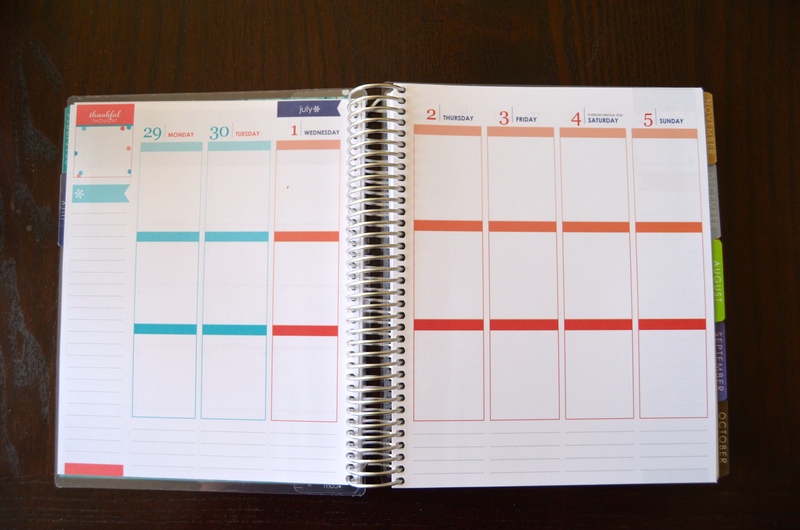 I selected the 2015/2016 LifePlanner in the vertical layout with extended 5 month option. 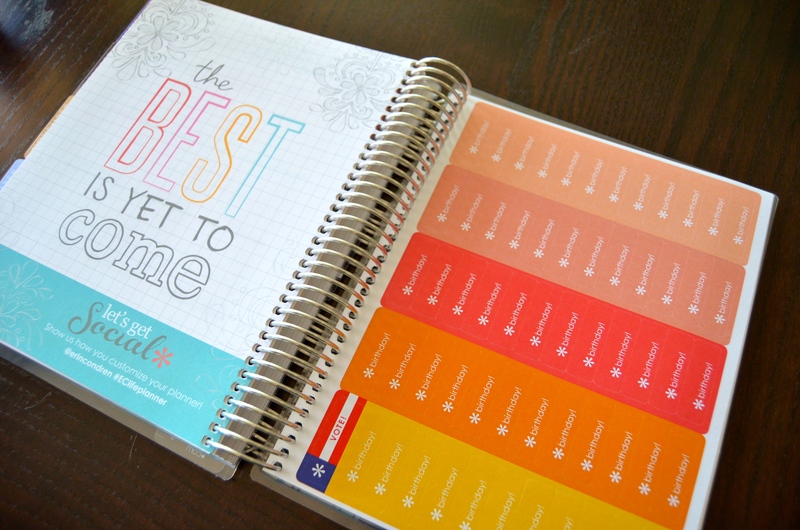 That way the planner included the rest of 2015 and the entire 2016 year. This was an additional $5, but totally worth it for 5 extra months. The standard option was only 12 months (July 2015 – July 2016). I wanted a cover with my name on it that I wouldn’t get tired of. I tried to stick with a classic design, and was very happy with my turquoise geodes selection. I opted to have my first and last name spelled out in all lowercase letters. They were offering a deal on erincondren.com that if you ordered a “Ready to Ship” option with no customization you would receive a coupon for a free customizable cover. I thought about going with this option, but I didn’t love the Ready to Ship option and knew I’d have to pay shipping costs for the free cover design down the line. The planner came with a removable ruler which is nice for lining up text or using as a bookmark for the week you’re on. 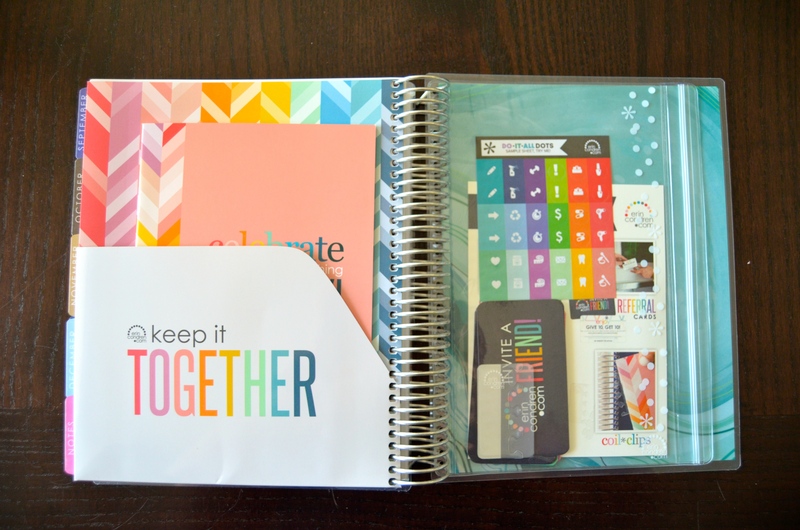 If you’re new to Erin Condren – all the covers are removable so you can swap them out. Same goes for this ruler, which is a nice feature. 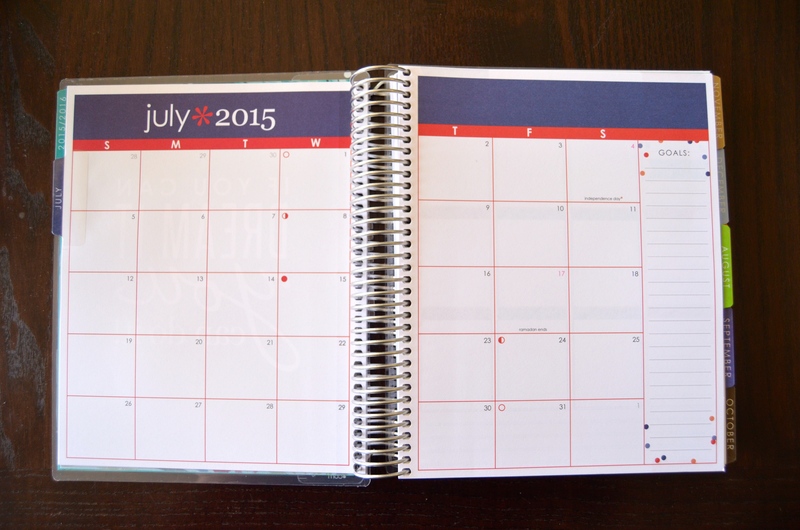 Here is a sample month (July 2015), but each month has a similar design with varied colors. There are also several longer look calendars throughout including monthly and yearly views. 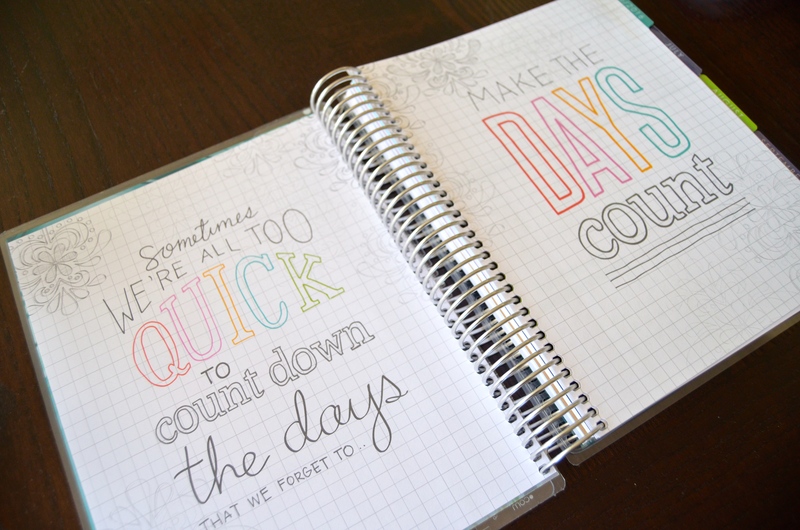 The planner also has several inspirational quote pages throughout along with dedicates spaces for personal thoughts, goals, etc. 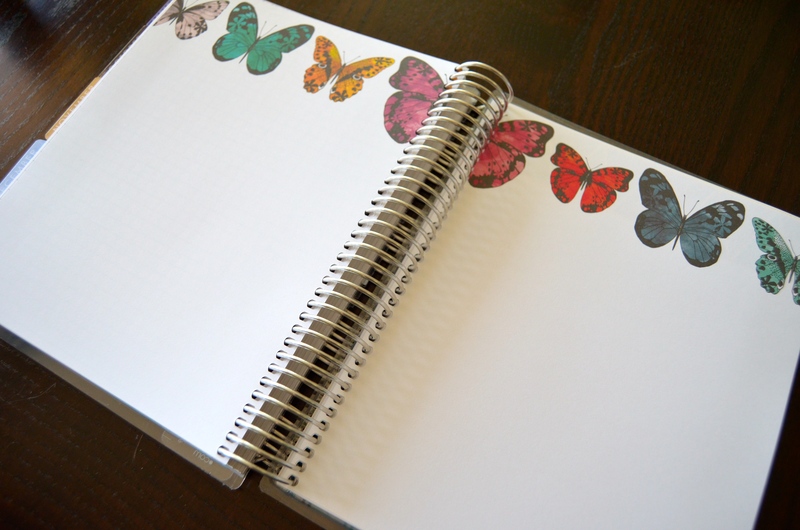 There is a Notes section after all of the months with 15 pages of empty note paper – all different designs and forms including lined, graph, and decorative (similar to butterfly design featured below). The planner also came with these fun stickers towards the back that say Vote (2016 is an election year), Birthday!, Game!, Day Off!, Hair Appt, Dentist Appt, Sale!, Doc Appt, Concert!, Mani/Pedi, Party!, and Vacation! They also have 2 sheets of blank stickers so you can write your own reminders. Lastly, the planner came with a fun doublesided pocket towards the back so you can carry important papers with you. Inside the pocketback was a small booklet containing a portable calendar, contact list, password reminder, and important holidays/dates to remember. 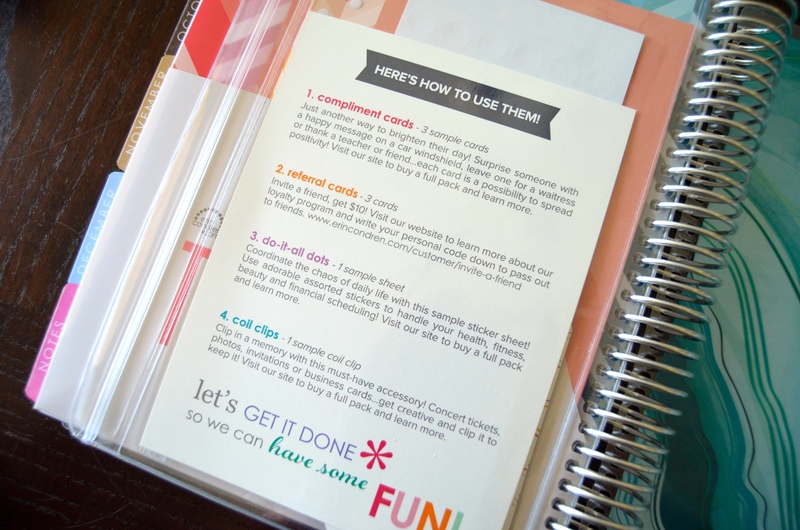 The planner also featured a clear zip pouch to store additional goodies – such as pens, stickers, and note cards. Inside the zip pouch were some more gifts from Erin Condren! 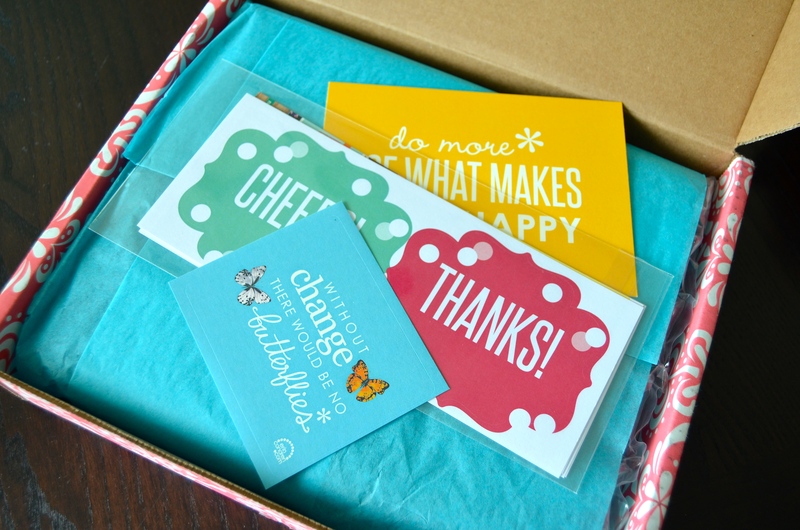 They included compliment cards, personal referral cards, do-it-all dots, and coil clips. I really liked the do-it-all dots and coil clips – so I may purchase those later. The package also came with a $10 code for my next order! 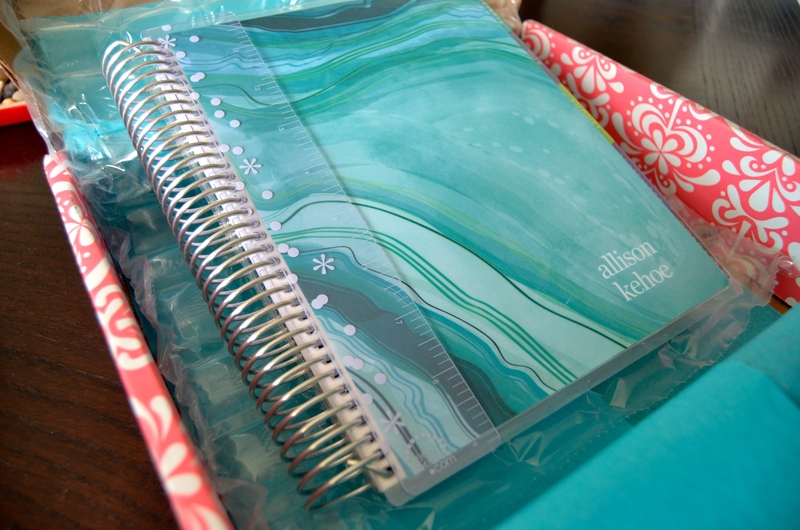 I’m hoping to wait for a free shipping deal so I can pick up some more accessories for my planner. I plan on posting more often about how I use my planner most effectively, and how I decorate its content (the most fun part!). 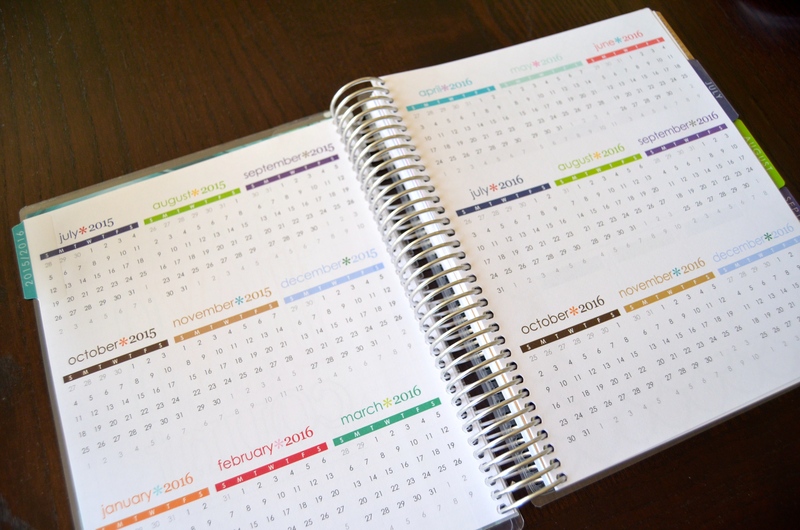 Stay tuned for my planner related posts and let me know what you all want to hear about. 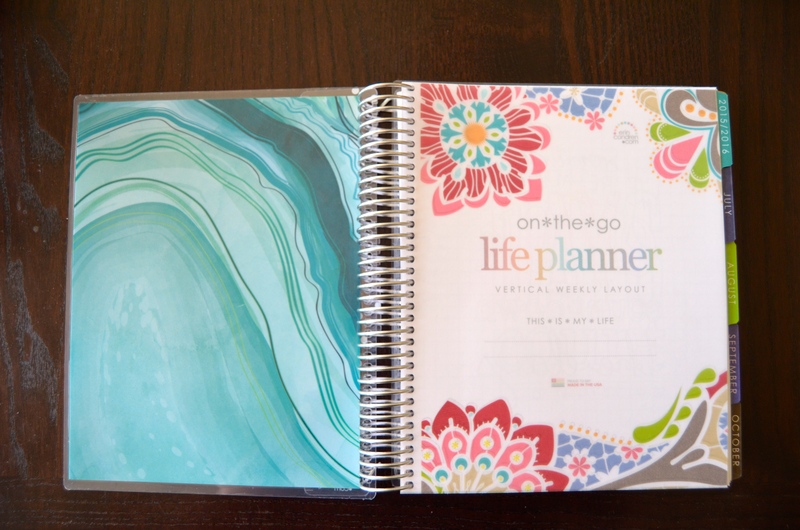 Sign up to receive your 2015/2016 Erin Condren Life Planner today with this $10 off coupon! Does Your 9 to 5 Need a Makeover?